This command prevents OSPF from forming adjacencies on all interfaces on the router. Using no passive interface default command is used to allow OSPF communication. 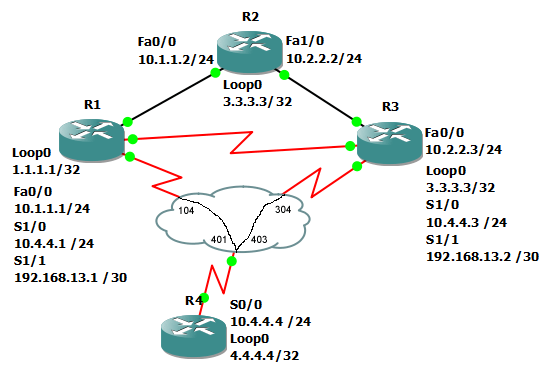 In this example, we will use passive-interface default to block all OSPF adjacencies. Afterwards, we will allow communication through R2’s Fa0/0. We can see there are no longer any OSPF routes on R2. Finally, we have routes coming in from Fa0/0, but not any other interface.